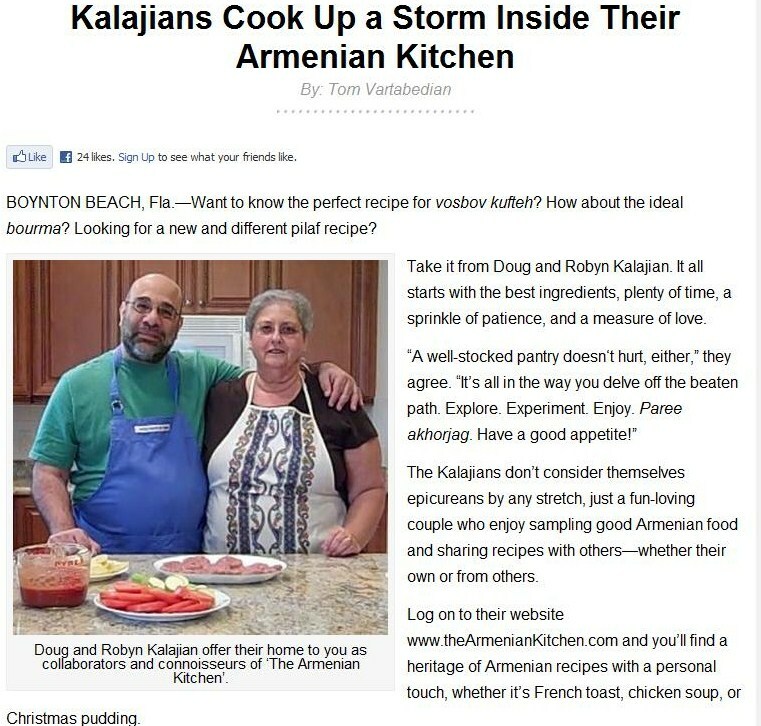 TheArmenianKitchen.com : Not to brag, but . . . Tom Vartabedian says we're doing OK! Not to brag, but . 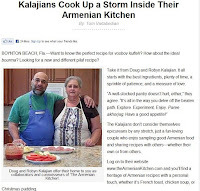 . . Tom Vartabedian says we're doing OK! Tom Vartabedian is one of the good guys in the fast-shrinking world of old-fashioned newspaper reporting. I'm talking about the kind of reporting that depends on actually knowing the people of your community and celebrating the ones who make it special. Tom, bless him, has covered two communities with distinction and passion for a long time: the local community in Haverhill, Massachusetts, and the Armenian community across the United States. His energy is as remarkable as his dedication. For years now, I've marveled at Tom's ability to turn out a touching or funny or just-plain interesting column each week while also writing about and shooting photos for multiple feature stories on special events and fascinating people. So, needless to say, we're both humbled and proud that Tom has chosen to write about us. As rewarding as it is to read Tom's kind words, the real satisfaction is knowing that more and more people are learning about our efforts to preserve and perpetuate the recipes and tastes that all of us grew up with and love. The data showed a definite up-tick in readership almost as soon as Tom's story went online. Here's hoping the trend continues. All we can say is, "Thanks, Tom!"